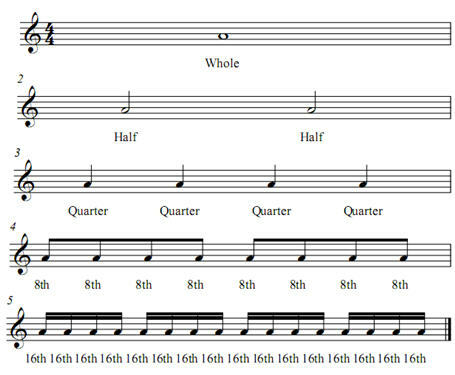 Straight rhythms--or duple rhythms--are those that are evenly divisible. 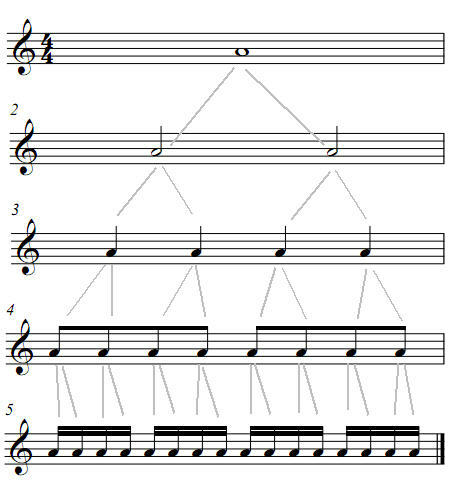 Duple rhythms are typical of most commercial styles, especially rock and pop styles. Their subdivisible relationships are shown here. 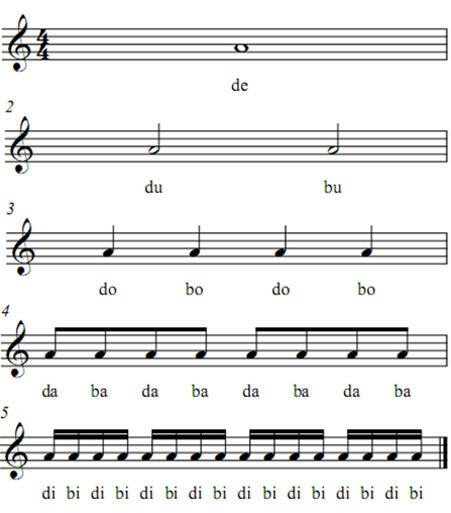 You will learn to talk three duple rhythm vocabularies.